The team provides strategic direction to the council and deals with key corporate issues and strategic service issues. 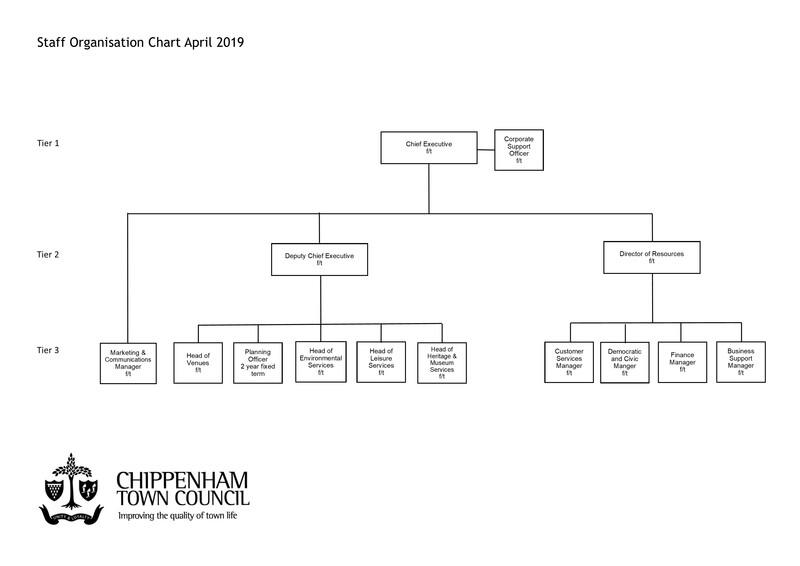 It makes managerial decisions on how the council operates, applying policy that has already been agreed but it does not set new policy which is the role of elected councillors. 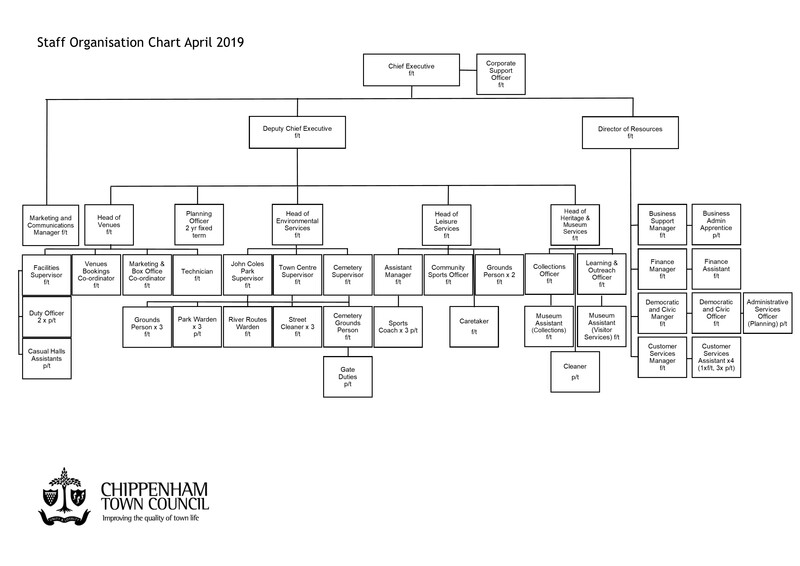 The Chief Executive of the Town Council is the council’s most senior officer and responsible for the council’s staff, working closely with the council leader and responsible for advising the council on strategy, policy and making recommendations to the council. The Chief Executive is the designated Head of Paid Service under the Local Government and Housing Act 1989 and Proper Officer under the Local Government Act 1972. 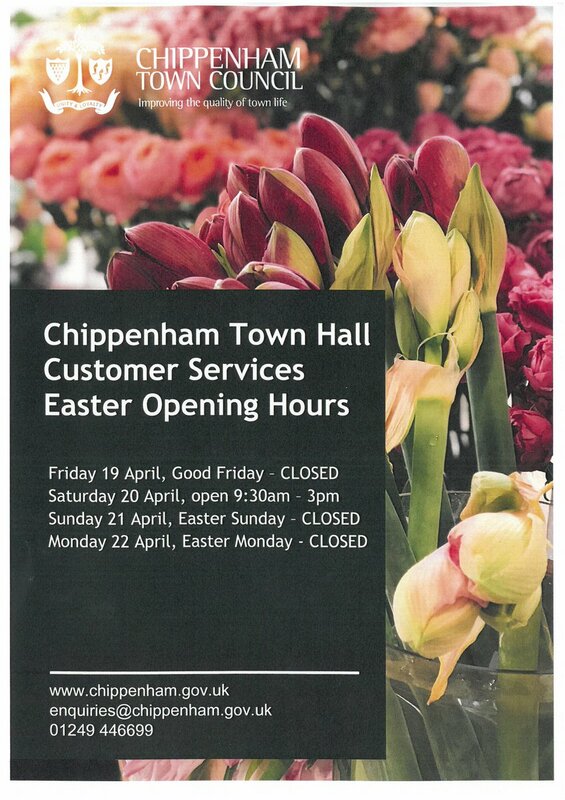 Adrian supports the chief executive in the corporate and strategic leadership of the council. He is responsible for the management and performance of all council services, facilities and capital projects. 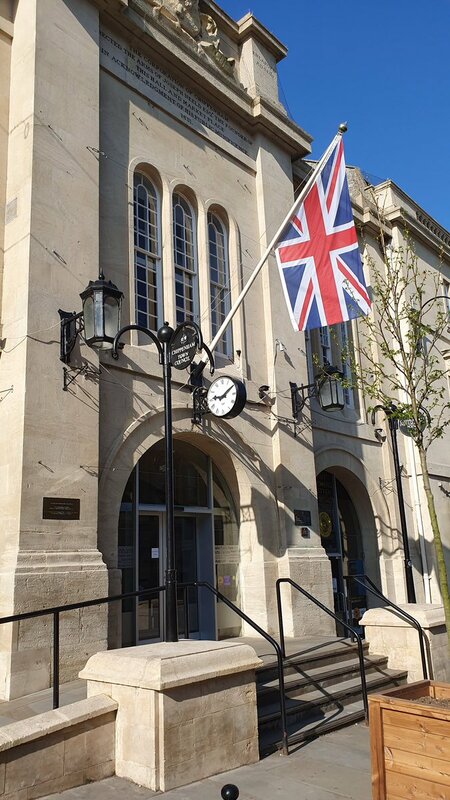 As Chippenham Town Council’s designated Responsible Finance Officer RFO and Section 151 Officer the Director of Resources is responsible for the management and proper administration of all the Council’s financial and other resourcing affairs.